Today’s the day, kiddies. Today’s the day that every broadcasting TV station in America was suppose to switch to digital, but the US Government intervened to save the millions of citizens we hear are not ready. Still, the switch is now optional until June 12, 2009 so a few stations made the transition today. The FCC made a list available that details which stations will switch-off when but at this point you might as well switch on the ol’ antenna TV and flip around yourself. 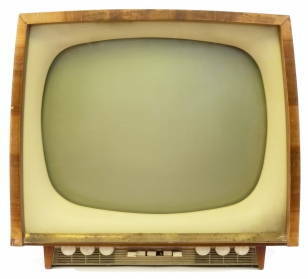 Tuning in a digital signal can be a bit more tricky than its analog counterpart. The signal either works or it doesn’t. There isn’t much in between such as analog’s ‘snowy’ signal. AntennaWeb can help with antenna point and direction if the television is hooked up to a directional antenna. Rabbit ears: just start playing around but when you do get in the picture, it will be better than cable or satellite. There is nothing better than free, digital TV.